A large chunk of Northern Rock is finally off the books of the UK government, after Virgin Money group paid £747 million to get its hands on the bank. This shouldn't come as a huge shock to anyone as the experts were touting the idea way back in 2007. However, now the deal is done, what does it mean for us? 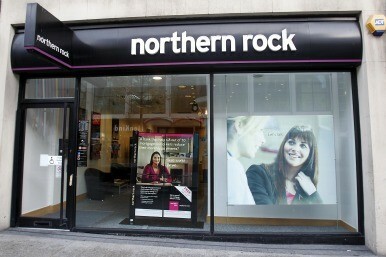 The deal won't affect all Northern Rock customers. The company was split into two parts last year, hiving off the sensible and solvent loans in one part and the toxic debt in the other: Virgin has bought the good loans. The toxic stuff , known as Northern Rock Asset Management, is still with the government. Unsurprisingly there aren't a huge number of people clamouring to snap that one up. The £747 million is just for starters. We'll get that in January and then there will be another £50 million to follow later. There will be a payment of £150 million in Tier 1 Capital Notes, and if Virgin wants to list it on the stockmarket or sell it on again within five years we'll get something between £50 million and £80 million more. In all that's £1 billion for the Treasury coffers. Of course, it's small potatoes when you consider that we've poured £1.4 billion into the bank in the first place, but it's better than a poke in the eye with a sharp stick. One group who could benefit would be those looking for a mortgage. Virgin has said a great deal in the past about its ambitions to offer competitive mortgages, so it's worth keeping your eyes peeled to see what it comes up with. It has also shown enthusiasm for a competitive current account, and has a steady savings book it will be looking to build on. The real plus to come out of this is a fresh new player that wants to compete aggressively to win new business, and more competition in the market can only be positive news.